Growing up in southern California, Jennifer Sharron Richardson ’01 knew she wanted to go into the entertainment industry. But she had no idea she would one day be co-executive producing an award-winning late night talk show like Jimmy Kimmel Live!. It took a Notre Dame liberal arts education, a passion for softball, and a little luck to get her there. 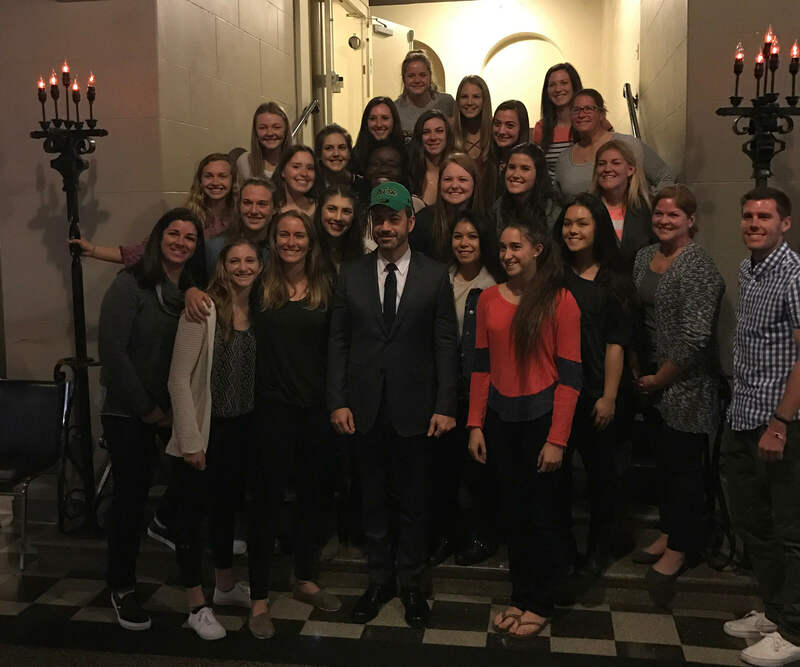 “Notre Dame offered me an amazing foundation of faith and values that helped to steer me in a direction of what was important in my life,” Richardson said. Sports shaped most of Richardson’s life up to Notre Dame. She practiced pitching with her dad every night until 9 or 10 p.m., and hoped that one day, her softball skills would help earn her a spot at a top university. So when Notre Dame came knocking, even a die-hard USC fan like Richardson listened. She fell in love with the campus on her first visit. And when she got to Notre Dame, she used the same focus and drive that she developed on the softball diamond to pursue a major in film, television, and theatre. 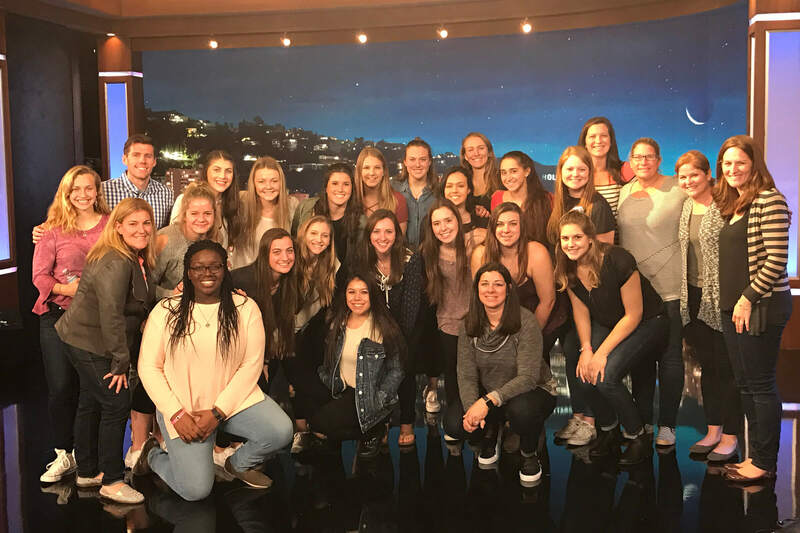 In addition to managing her classes and a highly regimented schedule as a pitcher for Notre Dame’s softball team, Richardson took on a series of internships that helped her discern what she did — and didn’t — want to do in the entertainment industry. The summer after her sophomore year, she learned about the editing process in a post-production house. The next summer, she tried her hand working for a literary agent. Both were valuable experiences, but it was during an internship at Golden Dome Productions in her junior year that she found her calling. While Richardson was finding her niche in the entertainment industry, her broader liberal arts education was preparing her for any path she chose. 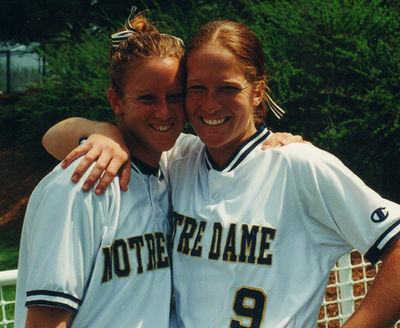 The summer after she graduated, Richardson played for the U.S. national softball team before returning to Notre Dame for an internship in the athletics department. At the end of that year, she decided to move back to Los Angeles and blend her love of sports with her production training. 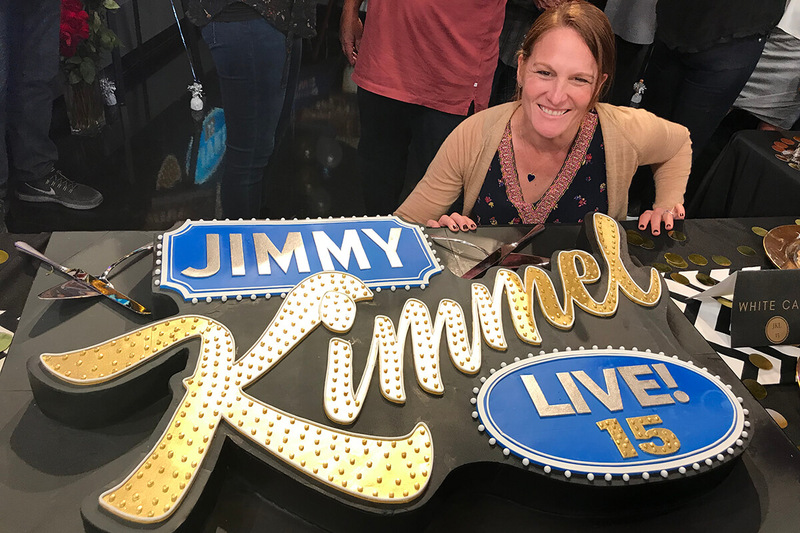 She started a position as a production assistant at Fox Sports in June 2002, when Jimmy Kimmel was in his final season as the comedic prognosticator for the network’s NFL pregame show. Richardson helped produce Kimmel’s segment, as well as feature packages that ran during the program. And when Kimmel left to launch his own late-night talk show on ABC, he invited Richardson to come with him. Those opportunities have included working as a field producer — a role that took her across the country to orchestrate such bits as a live segment from an Irish bar in Boston on St. Patrick’s Day. Those sorts of chaotic environments, though, come naturally to Richardson. She eventually rose to become head of the field department before being named one of the show’s five co-executive producers two years ago. Along the way, she has helped produce Kimmel’s performances at the Oscars and the Emmys. And over the course of her career, Richardson said she continually harkens back to her Notre Dame education. Originally published by Jack Rooney at al.nd.edu on March 21, 2019.